21/10/14. Erbil, Iraq. 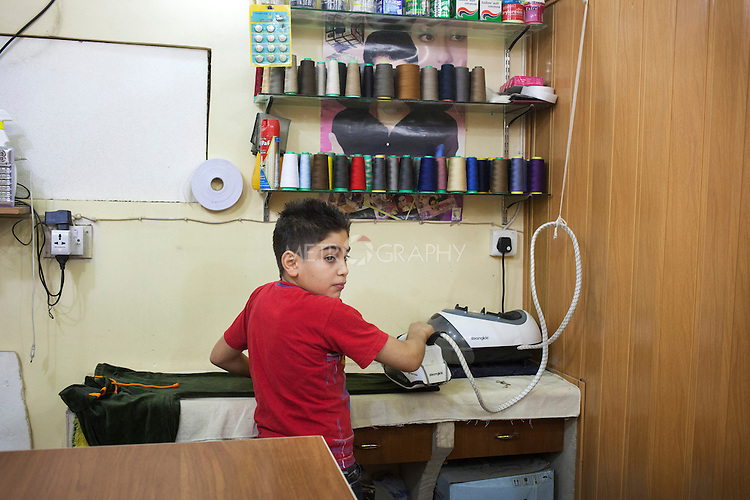 Wassam irons a pair of trousers at his uncle Amir's tailoring shop in Ainkawa. Wassam wants to visit the shop as his uncle works alone, and because he would like to learn about tailoring.